The Rothley Court has a wedding booking when we intended to go after the AGM / carriage shed visit. Therefore we've had to change the venue to The Wheatsheaf at Thurcaston (LE7 7JN; short distance, south west, from Rothley station). Still informal drink and / or meal with no need to book, but some idea of numbers would be useful. The next edition of our magazine RVO will be in the post tomorrow night. For those that can't wait for the post to arrive a pdf version has been placed in the members area of the website, along with the a correction for RVO61, the annual accounts and AGM notice (which is set for 29th November, 11am at Lovatt House). We still have a few raffle tickets left for this years raffle which takes place on Saturday 29th November at Loughborough. Anyone who would like a book sending to them please contact me with your details and I will send them out to you, if you are a member then they can be sent with the next RVO magazine which has just been sent to the printers. Proceeds from the raffle are going towards the new carriage shed. Just had confirmation that the TPO will run at the October Gala (subject to final FTR nearer the time). At present the rake will be made up of LNER 70294, BR 80401, BR 80438 and BR 80458. LNER sorter, 70294, has had some repair work done on its nets and has received a brake test, this vehicle will perform the pickups from the lineside and will be the first time since about 2008 it has been used for this purpose, so a very rare outing. 80401 has had two traductor arms installed to allow it to do the drops, something it has never done in preservation and something it would have last done in 1971 when in use on the West Coast Postals. There will be two runs each day at 10:20 and 16:35. 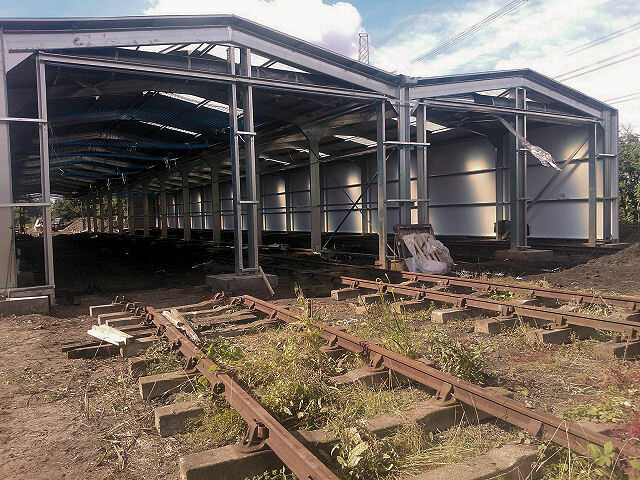 There are further images of the shed being built in the galley for 2014. On Saturday (from about 10am) and Sunday we are earth moving at Swithland to create access to allow the cladding to go onto the shed from next week. We’ll have a digger (and possibly a dumper) on site, and a few of us about, but we could use some extra manpower – if anyone is willing to help on either (or both days) and can use a spade please pop along. If anyone would like a lift from Rothley station to Swithland then let us know and we will try to accommodate. 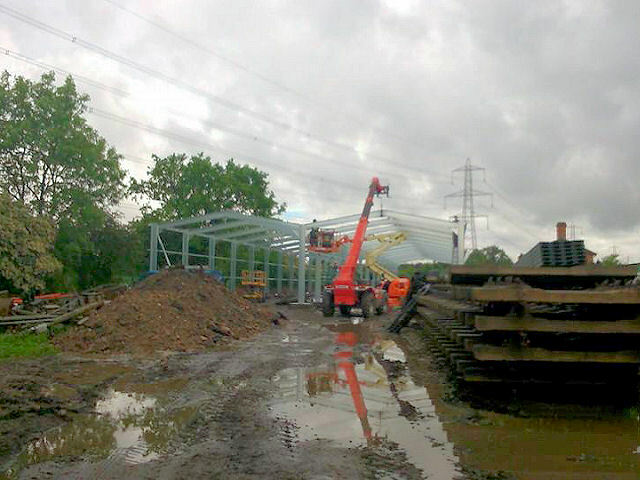 Another view taken today of the shed, showing how rapid progress can be in just 24 hours. With the perimeter and centre line foundations now completed the shed framework has started to go up. Rapid progress has already been made and in only three days around a quarter of the framework is already in position. 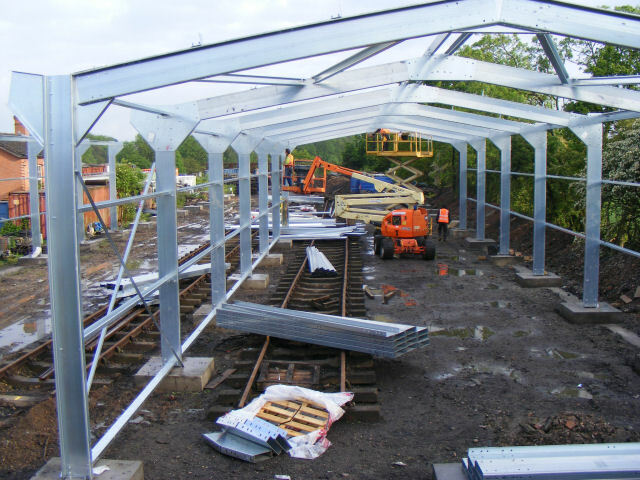 The steel erectors expect to have finished the framework by 6th June, we will then have a three week pause while the GCR start preparing the trackwork and we complete the foundations. We also need to create an access down the east side to allow the steel erectors to fit the cladding; this may be a volunteer activity for a Saturday in June. The cladding and doors will be fitted to the framework from early July, so we should have a shed to move into by the end of July. We still need to raise £7,000 to complete the building, so if you have been waiting until the shed started going up before donating now is the time to send your donation in. Details of how to donate can be found here. RVP is aware of an incident that took place during Monday 12th May 2014 at the Great Central Railway which resulted in one of our Travelling Post Office vehicles, number W80301, being damaged. We are waiting on the outcome of the investigation and report on the damage to the vehicle before working with the GCR to look at options for the repair of this historic vehicle and its return to traffic on the GCR at the earliest opportunity. A few recent pictures have been added to the shed appeal page showing the latest work on the foundations. A pictorial update can be found here. 1st March 2014 - THE SHED ORDER HAS BEEN PLACED! These are exciting times for RVP, and a short intense burst of activity in the next few weeks should give us much better control over our own future. The board have taken a (carefully considered) risk in placing the shed order now. We have raised enough funding to cover the costs, but it does mean that, in the short term, we need to use all of our financial reserves to allow it to go ahead. However the shed supplier was able to hold the price we’d been quoted 18 months earlier, but it would be unrealistic to expect them to do so for much longer so there was some urgency to order now. The board are confident that the level of support we’ve seen to date can be maintained to ensure we come out of the other end with some money in the bank – but over to you to prove us right in that belief! Since the launch of the appeal in April 2013 we have raised over £100,000. This is a magnificent result which many bigger organisations would be extremely proud of. To this RVP’s board agreed to add £40,000 from our reserves (effectively held from the sale of steam loco 7597 some years ago), and we had already spent the £10,000 in planning and design from our general funds. Add this together and you can see we had a total of £150,000. Or, to put it more simply – not enough! This is the dilemma that faced us, but in the short term we are able to "borrow" other reserves held to cover the shortfall. But we MUST RAISE THE REMAINING £17,000 or so in the next two months. I cannot stress enough how important this period is to ensure that, once we have a shed, we are able to carry on restoring the things in it! I hope you can see that we are getting excellent value for money by going ahead now, and that the financial risk is manageable. We are delighted with the support received to date and we clearly have a duty to build the shed we have promised. This will be done and if you’ve been waiting to see that we actually could do it before helping us out the next few weeks should set your minds at rest! To get us this far has required a huge amount of effort behind the scenes. We must thank Tony Sparks for doing the planning, design and building regulations aspects. We simply would not have been able to do this without his knowledge and experience. Thanks also to Paul Harrison for his work in keeping the project moving, and to all who have donated or contributed in some way. Finally our thanks to the GCR (and in particular Bill Ford, Alan Brassey and Graham Bannister) for their help to reach agreements for the use of the site and the subsequent clearance of it. 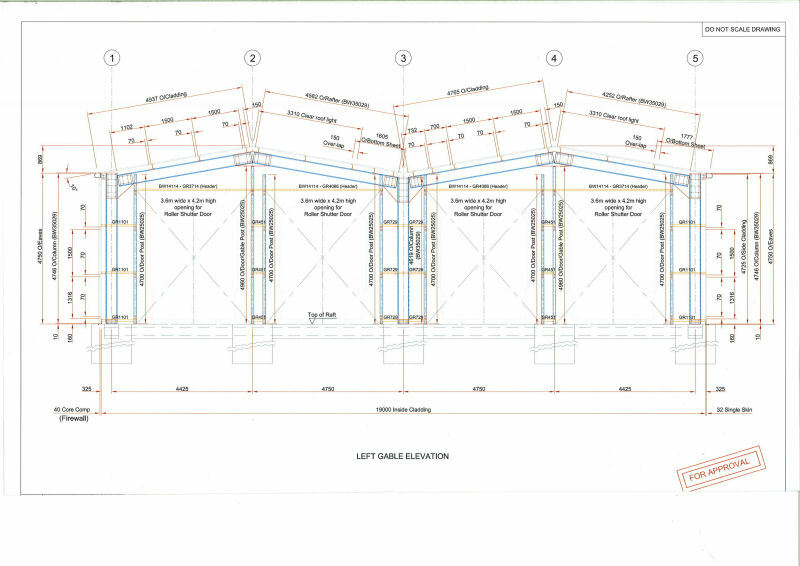 THE SHED – The final drawing for the shed front is shown below. 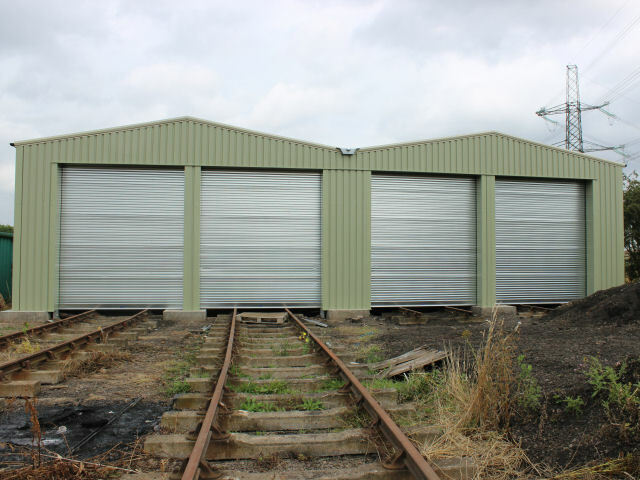 The shed is double pitch, four road, with four roller shutter doors. Length of the shed is 65m with space for three coaches on each road (perhaps more as some of our stock is not on long underframes). We have 13 wooden bodied coaches, so if we assume one will always be at Rothley for major work, thats all of them kept under cover (with some scope for also accommodating the odd Mk1 TPO vehicle as necessary if any of them need it). It is intended to fit a central wall to provide a measure of fire protection in the event of a problem in one half of the shed. Internally the shed will initially be very basically fitted out. The floor will simply be ash (and the track). No internal cladding (except of boundary side wall where this is a building regulation requirement). Generator powered lighting is expected to follow construction. This is to keep the construction cost to a minimum and get our collection under cover as quickly as possible. There will be plenty of scope for improving the shed over time, and the appeal is likely to remain open to allow us to do so. 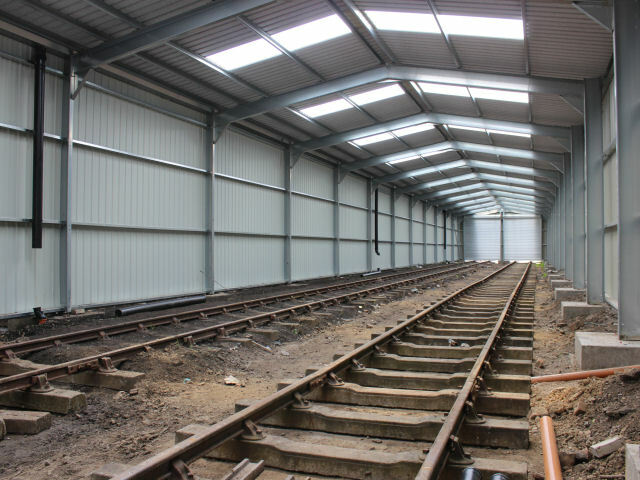 THE TRACKWORK – As part of the agreement with the GCR, they will provide the trackwork into the shed. This is currently being designed and it is likely that this initially will connect the three roads nearest to the GCR main line to the rest of Swithland yard. The fourth road (on the boundary) is likely to be isolated track for the time being (there are some costly constraints on the access to this road to be completed at a later date). This isolated track will hold three of our stored vehicles for the time being; likely to be the two Gresley BTKs (57451 and 62565) and the Flying Scotsman composite (18033). There is clearly a lot of work to do on the track, and this is starting now with a comprehensive levelling survey to allow the approaches to be levelled and the track design finalised. We are grateful to the GCR for their assistance here. SHED OPERATION – The shed is essentially for storage. Under the terms of the planning consent we are able to do light maintenance work there (e.g. cleaning, and some minor running repairs), but it can’t be used as a workshop (we’ll continue to use Rothley as now). Initially one road will have our serviceable passenger coaches on it (the teak pigeon van, Gresley RB, and Beavertail); these will continue to be used by the GCR as now, but will be stored at the shed between periods of use. Further space will hold the LNER TPO set (sorter, tender, BZ, and motorail van) – these remain basically serviceable and can be moved to Quorn (or elsewhere) for display as required. We then have our “works in progress” – vehicles 23981 9116 and the Ambulance Van currently, which can reside in the shed during pauses in their restoration. This will make a massive difference in being able to put partly restored vehicles under cover when other priorities mean space is needed at Rothley. Then there are the long term stored vehicles mentioned above. Finally we have the second Beavertail currently hidden away – but its major restoration will conclude in due course and it is intended it will live in the shed between periods of use (perhaps on the GCR and elsewhere). Over time the number of restored coaches will increase and the stored vehicles reduce; the shed becoming more of a “running shed” for the GCR’s collection of historic vehicles. Initially there is no intention to open the shed to the public. 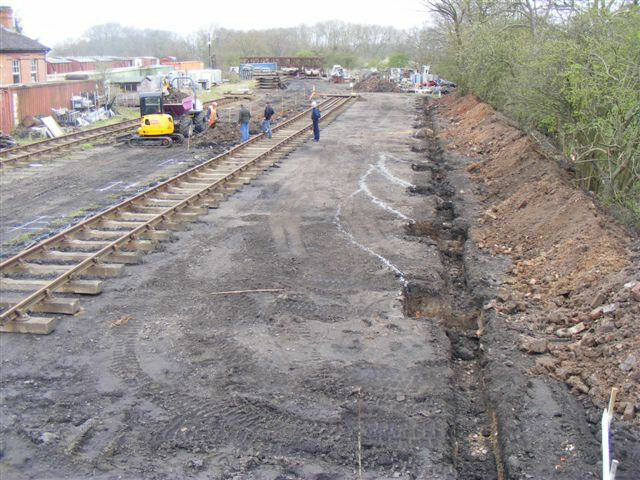 However the possibility remains of limited access during those events when the GCR open Swithland yard, and we can, of course, arrange access for anyone particularly interested in any of our vehicles (this being much easier to do with the vehicles stabled in a relatively safe location as opposed to any one of a number of sidings on the GCR). Railway Vehicle Preservations are getting closer to the day that it can reported that "All our historic wooden bodied coaches are under cover". 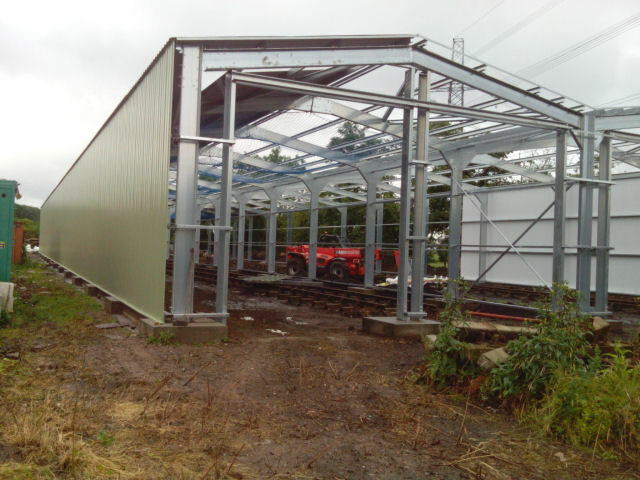 We "only" need to raise another £20,000 within the next few months to be able to place the order for the shed, to be built at Swithland Sidings on the Great Central Railway. Planning permission is in place, building regulations have been approved and the order for the foundation work has been placed. The foundations are due to be installed in March and be should be completed in April, subject to the weather. The response to the latest appeal in the Great Central Railway’s "Main Line" magazine was superb and has raised around £10,000. 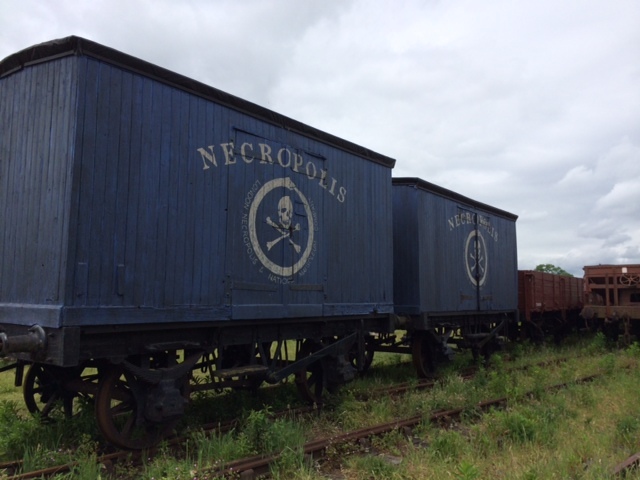 This along with other donations means that we are now within £20,000 of being able to place the order for the shed. If we can raise this money before the foundations are completed then the shed could be built and ready for occupation by the summer - we really do need every donation to be able to get the job done! To be able to get all the restored and unrestored vehicles undercover will enable us to make inroads into the renovation of the vehicles that still await their turn in the restoration queue, while ensuring that those already restored do not deteriorate due to being out in the open at the perils of the British elements. RVP has one of the most historic collections of LNER vehicles; both Beavertails from the 1937 "Coronation" train, the only surviving coach built for the "Flying Scotsman" train of 1924, the only restored six wheeled Thompson brake coach, the sole surviving LNER bogie CCT and not forgetting the only surviving LNER Travelling Post Office set amongst others. Now is the time to make this the last winter that these historic vehicles have to endure the elements.